--NO FEES-- Has there ever been a scooter that’s as cool and as much fun as the Honda Metropolitan? This little two-wheeled wonder has been a favorite for years. So stylish and smart, everybody who sees one instantly falls in love with it. And now, for 2016, the Metropolitan is better than ever. First, there’s the fresh, new style—that you can see for yourself. But what you can’t see is a beauty that’s more than skin deep—the Metropolitan’s new liquid-cooled four-stroke Honda engine. 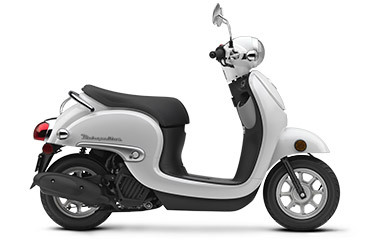 It offers the kind of Honda reliability no other scooter in the class can touch. But we kept the best parts of the Metropolitan too: the practical under-seat storage area, the no-shift automatic transmission, and the fun and freedom that have always been standard equipment on this little two-wheel wonder.